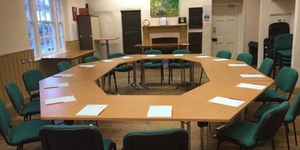 Do you need a training/seminar or meeting space for up to 50 people? The Stuckey Room is full of character with its large sash windows and beams. Our flagship room can be set out in whatever style suits you best - Theatre, Cabaret, Boardoom - you tell us. 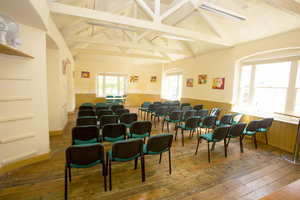 The room can hold up to 50 people Theater style - or 30 Boardroom style. Room hire charge: £17 & VAT per hour. 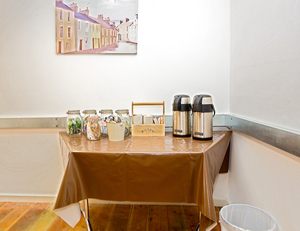 Lunch and refreshments can be served in this room, or at reserved tables in Kitchen @ The Wharf our on-site cafe. Email us at admin@greatbow.org.uk with your enquiry and we will be happy to help.